Ottawa Employment Lawyer Chris Clermont helps employees and employers in Ottawa and neighboring communities navigate the complexities of Ontario employment law with practical legal advice to achieve desired outcomes in timely fashions. The primary thrust of Chris’ practice is representing individuals (Employees) whose employment has been terminated. Regardless of the reason for termination, the loss of one’s job can take a significant emotional and financial toll. Chris helps his clients understand their rights and possible entitlements under the Employment Standards Act and common law. If Chris feels your employer has fallen short of the mark of what is expected of employers towards their employees, he will work towards obtaining a fair severance package and/or other litigation consideration(s) for you. Chris also acts for businesses of all sizes and in every field of endeavor to proactively protect against expensive litigation and to ensure they meet their obligations as employers. From the negotiation of severance agreements to reviewing workplace policies on hiring, firing and harassment issues. An experienced Ottawa employment law lawyer can best advise you on the requirements of the Employment Standards Act and the interpretation of common law rulings and how they may apply to your particular circumstances. 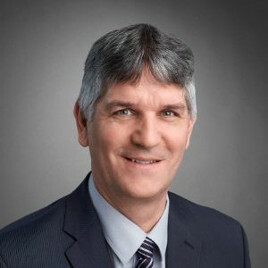 Chris Clermont has appeared before the Superior Court of Justice, Divisional Court, Ontario Court of Appeal, Ontario Labour Relations Board, Ontario Human Rights Tribunal and numerous arbitration boards. Additionally, Chis has instructed at the Bar Admission Course and acted as a Moot Court Judge at the University of Ottawa. + Harassment and Workplace Violence. Whether you are an employee or an employer, Christopher Clermont is committed to ensuring that your employment and workplace rights are protected. Set up a consultation today. Chris would welcome a conversation about how he can help with your employment law needs. Call 613-366-0800.